The front of this docket style card has Ganeshji printed in silver and embossed. The inserts are plain while the envelope has self-line embossed border all around. 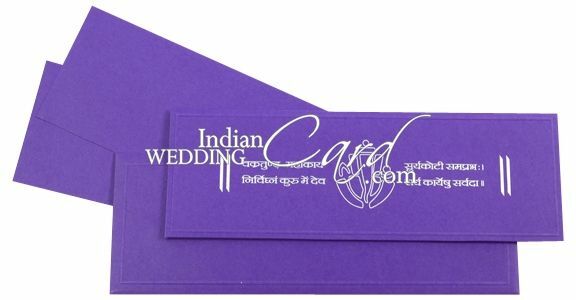 Purple color card sheet (250gsm) for card, envelope and 2 Inserts.